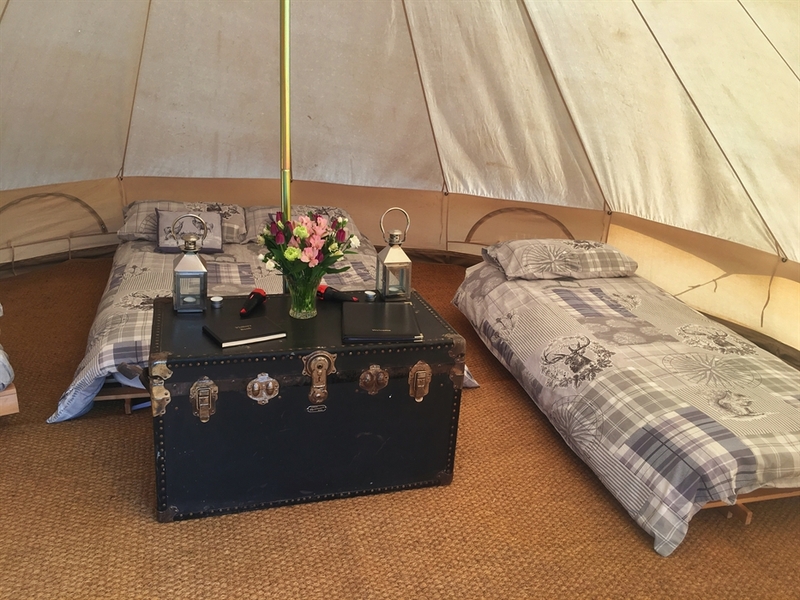 Set in 230 acres of private farmland in the Loch Lomond and the Trossachs National Park our glamping tent is the perfect place to relax and unwind while enjoying panoramic views over Loch Lomond, its islands and the mountains beyond. 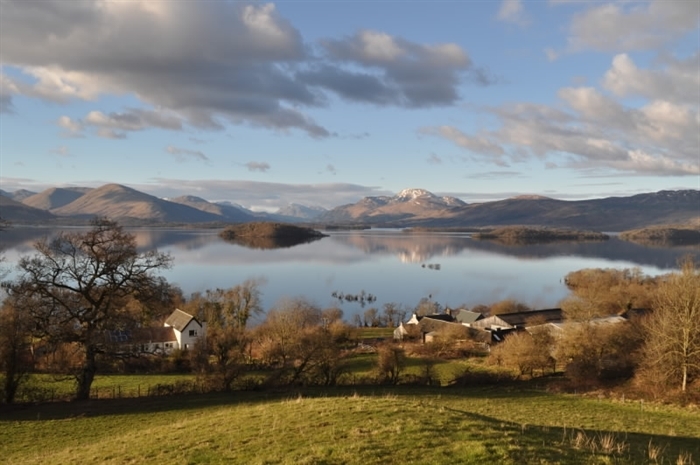 Owned by the Scott-Park family for over 65 years, Portnellan is a small family run beef farm on the secluded southern shore of Loch Lomond. In recent years the farm has diversified in a number of ways and now offers boat moorings, self-catering accomodation, a range of activities and of course glamping. 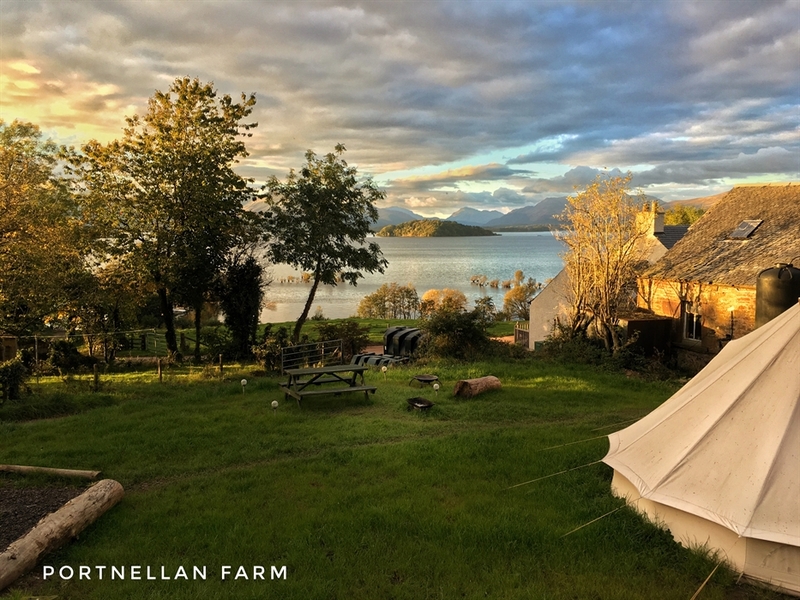 The tent is a 5 meter diameter canvas bell tent suitable for up to 4 people and sits on a grassy plateau next to the Old Byre (where the cows used to be milked) over looking Loch Lomond . Inside the tent you will find a double and 2 single futon beds which will be made up ready for your arrival. Although there is no electricity to the tent there is a wood burning stove to provide heat and 2 candle lanterns which provide a cosy glow. Towels are also provided so no need to bring your own. Please be aware we are a working farm. This means that there may be tractors moving around, cows in near by sheds or fields and if it rains it can get muddy so remember to bring your boots! If you'd like to look around the farm and meet the cows please just let us know, we're always happy to show our visitors around! Please note we do not allow smoking on the farm. We hope you understand - people enjoy the fresh air! If you'd like to purchase any organic beef for your BBQ, let us know before you arrive and we can defrost it and leave it ready in the fridge for you. For those looking to get out on the water and explore the loch we offer speedboat tours from the farm pier. Explore the islands and learn about their history or go for a drink at the pub on Inchmurrin island. 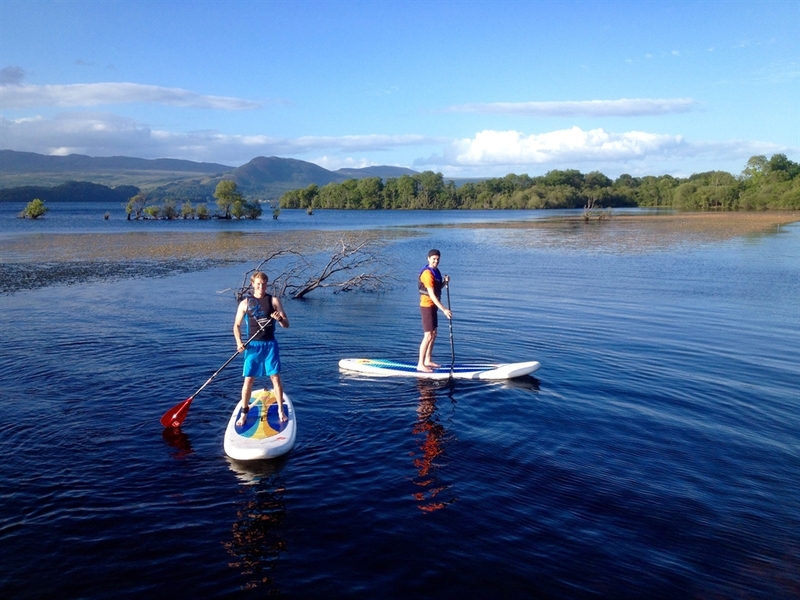 We offer Kayak & Stand - Up Paddleboard (SUP) hire from the farm for those wishing to explore the loch under their own steam. Unfortunately we are unable to take dogs in the glamping - muddy paws and low futon beds dont go well together.. 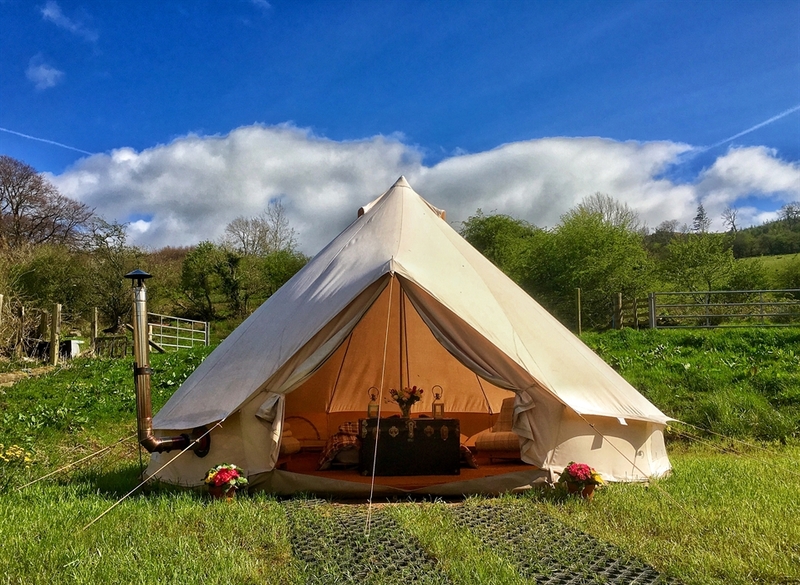 If you would like any more information on the glamping please get in touch by giving us a call on (+44) 01389 830 487 or emailing us at info@portnellanfarm.co.uk. Alternatively you can visit our website at www.portnellanfarm.co.uk or Facebook page at www.facebook.com/portnellanfarmlochlomond.